Say what you will about YouTube, convenient, all-topic about, informative and connective sometimes—yeah, quite interesting, isn't it? But what if you failed to transfer YouTube to AVI supported device like BlackBerry or AVI supported app? Well, to do the YouTube to AVI task, you need clear two things: one is to download YouTube videos off and the other is to convert YouTube to AVI if the video are not saved as AVI file. Well, it's not a tough work since you have found this YouTube to AVI step by step guide. To download YouTube videos, you can use free video downloader or Wondershare UniConverter (originally Wondershare Video Converter Ultimate), but the latter is highly recommended for it can both download videos from YouTube even some other video-sharing sites freely and quickly, and convert YouTube to AVI at superb fast conversion speed. 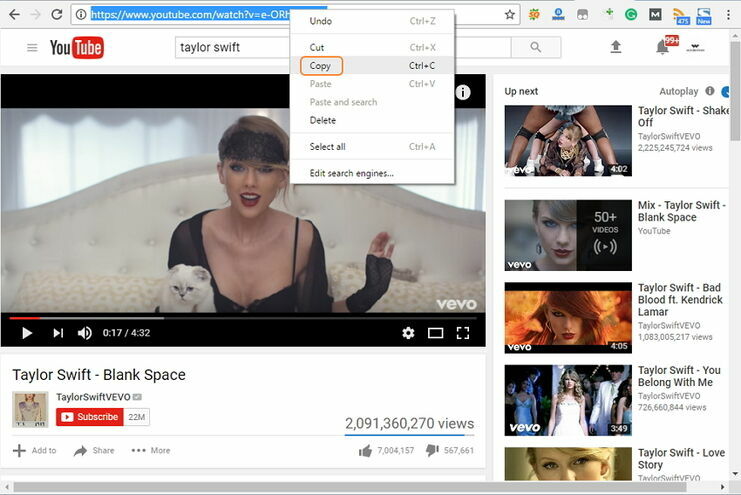 Navigate to YouTube official site, find a YouTube video you want to download, and play the video online. 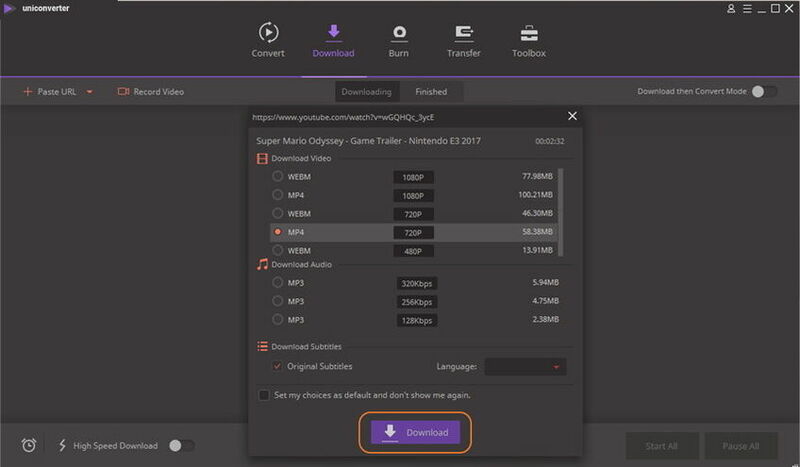 Launch Wondershare UniConverter (originally Wondershare Video Converter Ultimate) and click Download in the top, and then click + Paste URL in the upper-left corner, you'll get a pop-up download window. 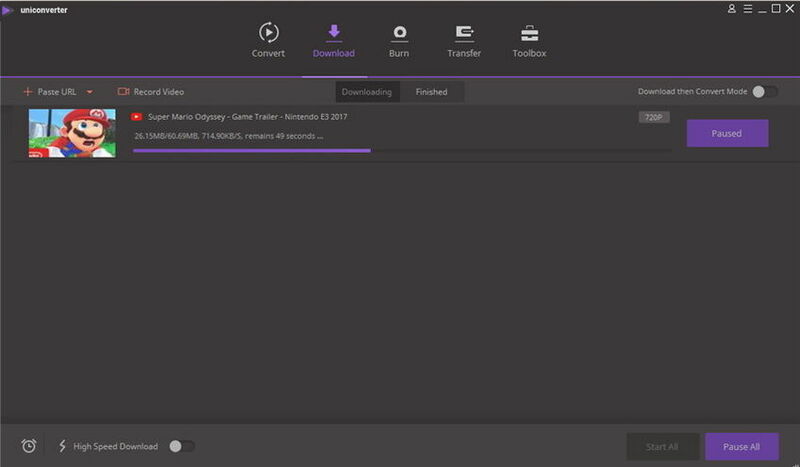 When the downloading process completes, switch to the Finished tab to find the downloaded YouTube videos. Now, you've entered the folder that contains all downloaded YouTube files. 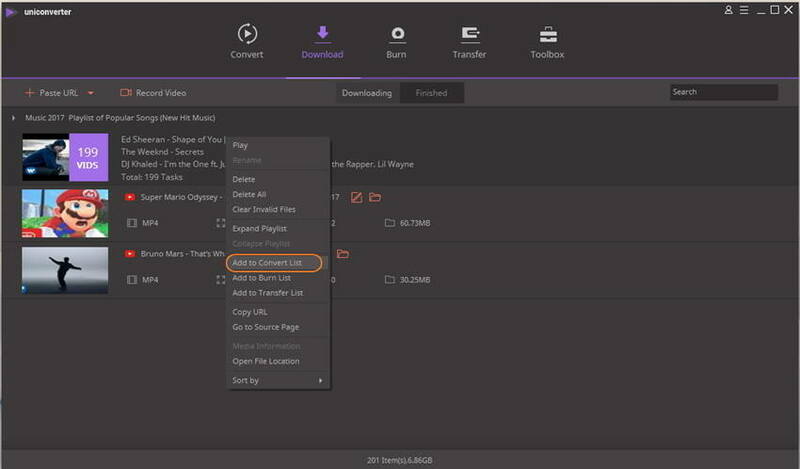 Open the downloaded video file on your computer and then drag & drop it to the program's Convert section. or right click the downloaded video file under finished tab and choose Add to Convert List. 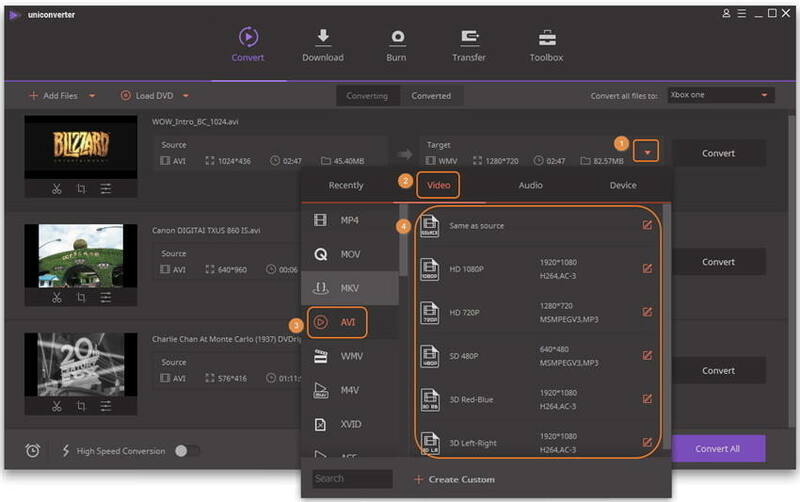 Click the icon from the Target box and select Video tab, choose MP4 in the left sidebar and select the video resolution in the right to confirm the output format. Click the Convert or Convert All button to start converting the downloaded YouTube videos to AVI format. you can see the purple conversion progress bar, and the program will finish the conversion in a short time. After that, you can switch to Converted tab to locate the converted audio file in your computer. Now the YouTube to AVI conversion is done, and you can freely enjoy your media files on BlackBerry or some other devices, import the files into your PPT and so on. 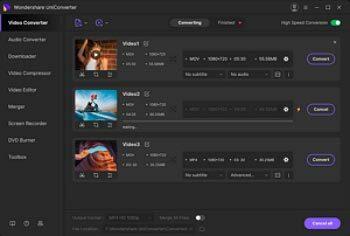 Tip: The YouTube to AVI converter has more useful functions which may bring you more fun during your media experience; you can go to the User Guide of UniConverter (originally Wondershare Video Converter Ultimate) to get the detailed info. And the following is a step-by-step video tutorial for your reference.